British Future is seeking to recruit three new trustees to join our high-calibre Board and executive team in developing and executing the organisation’s strategy. Media and Communications (ideally with knowledge of digital marketing/social media). You will be joining a Board of Trustees from a wealth of backgrounds, all with a shared interest in immigration and integration in the UK. Your skills will help British Future continue to grow from strength to strength, expending our team and developing our profile and influence to deliver the organisation’s aims and mission. In keeping with the charitable nature of the organisation’s work, the role is unremunerated. Four trustee meetings are held annually as well as subcommittee meetings and events throughout the year. Ideal candidates will have experience of playing a strategic leadership role in a complex organisation and of contributing to non-executive governance. They will have a strong commitment to the aims of British Future. A clear understanding of the principles of good governance, and of the appropriate division between executive and non-executive responsibilities, will be key. 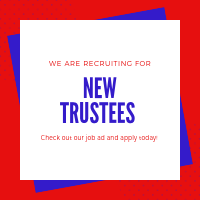 Strong governance, fundraising expertise and solid experience of media and communications is essential for any small charity and so we are looking for trustees from each of these backgrounds to help us reach the organisation’s fullest potential. We believe that our strategy and reach can be developed and expanded even further with the right guidance and so we are looking to build on the skills and experience of our well-established Board of Trustees. This is an opportunity to contribute to an organisation which plays a leading role in shaping constructive public discussion about some of the most contested issues in Britain today. Your skills will be invaluable in regards to the success of the organisation, with a full induction to the charity provided once appointed. Please apply by sending you written application to louise@britishfuture.org. For details of what to include in your application, please view the job description and person spec here. For more information on our current Board of Trustees see our trustee page.